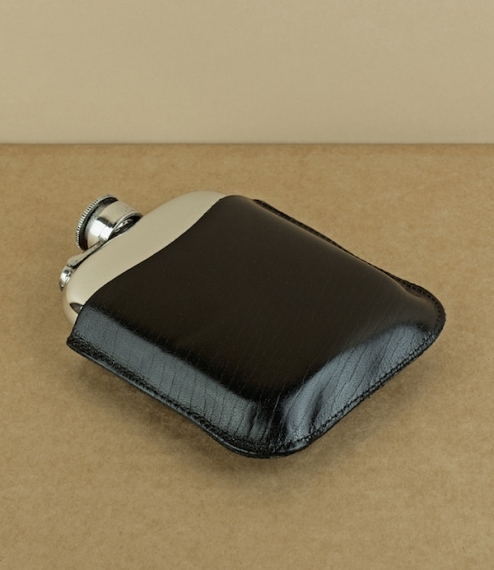 A 6oz traditional pewter pocket kidney flask with a captive lid and plain polished finish. 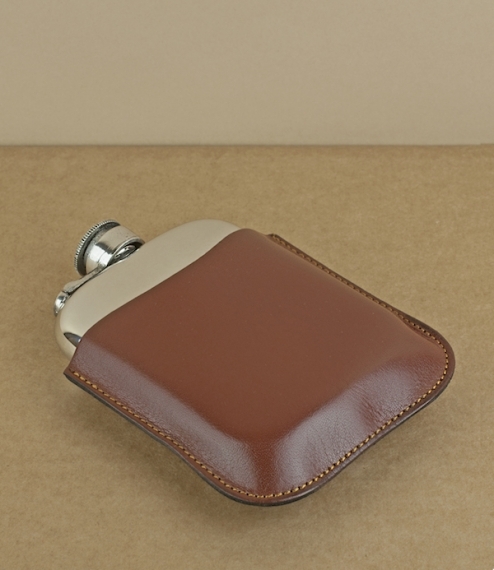 Black or brown leather covers are also available separately, as well as a hand turned filling funnel. 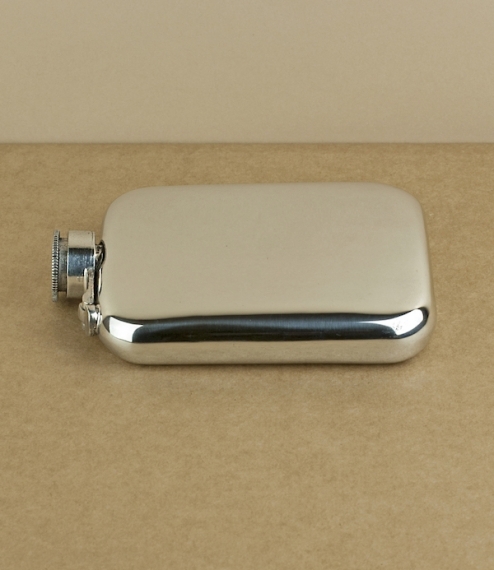 Cast and machined by hand in Sheffield by the pewter-smiths of A R Wentworth at the still family run workshops founded in 1949. 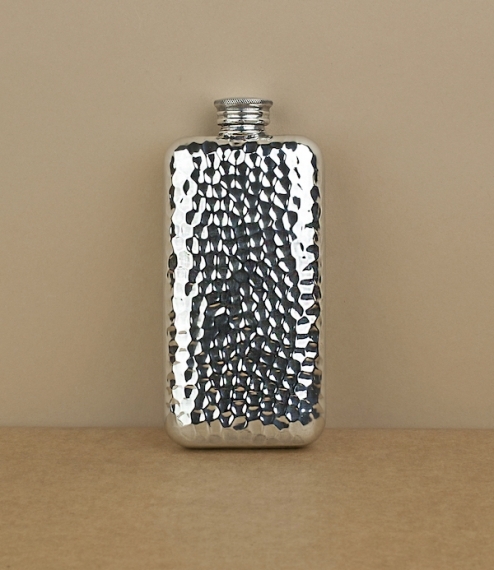 First produced in the bronze age pewter is an alloy of mostly tin with copper and antinomy (no lead these days!) for hardness. 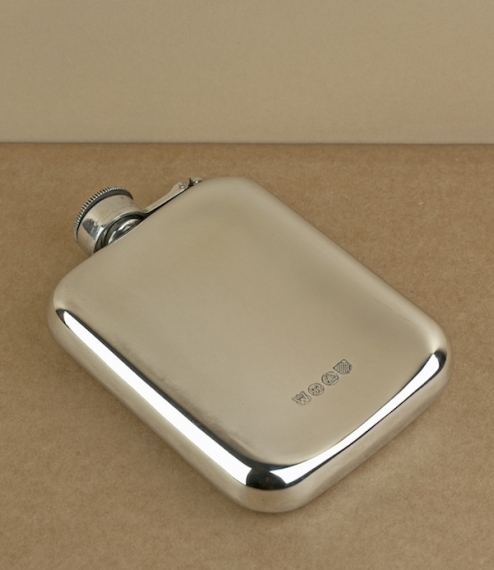 The flask measures about 8.5cm wide, 11cm high, and 2.5cm deep. The funnel measures about 4cm by 3.5cm diameter.